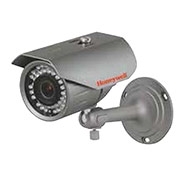 The Honeywell Video HB273H is a 960H resolution, true day/night indoor/outdoor IR bullet camera. The Performance Series rounds out Honeywell's camera portfolio with a variety of indoor, outdoor and low-light cameras that lets end users pick the perfect camera for virtually any installation. Ideal for a diverse range of applications, the Performance Series includes a wide range of high performing IR bullet cameras and minidomes that are easy to install and even easier to use.